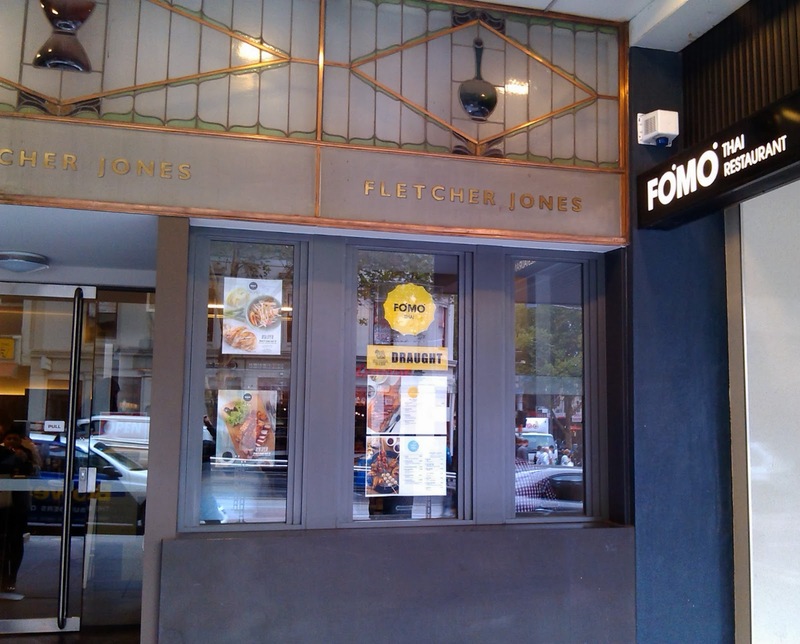 I first visited Fomo Thai with some colleagues from work, it is housed in a former Fletcher Jones store on Bourke street, close to the junction with Russell. A few weeks later I returned with a different group, and I've updated this post since. Inside the fit out was modern and stylish and it was pretty busy downstairs on the first visited, and a bit quieter at the end of the second visit. At the back heading towards the stairs, you can glance into the kitchen. 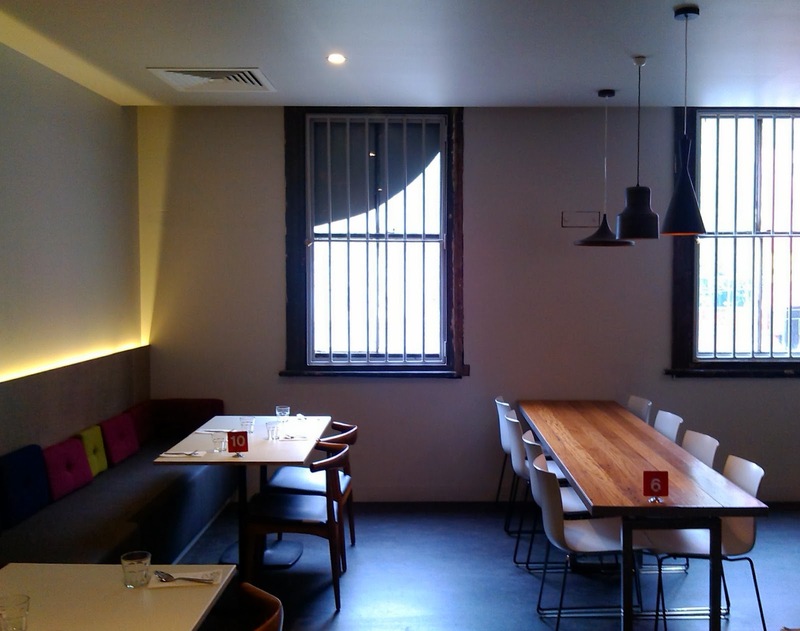 Our table was upstairs, which was a little more laid back, but was still nicely furnished. 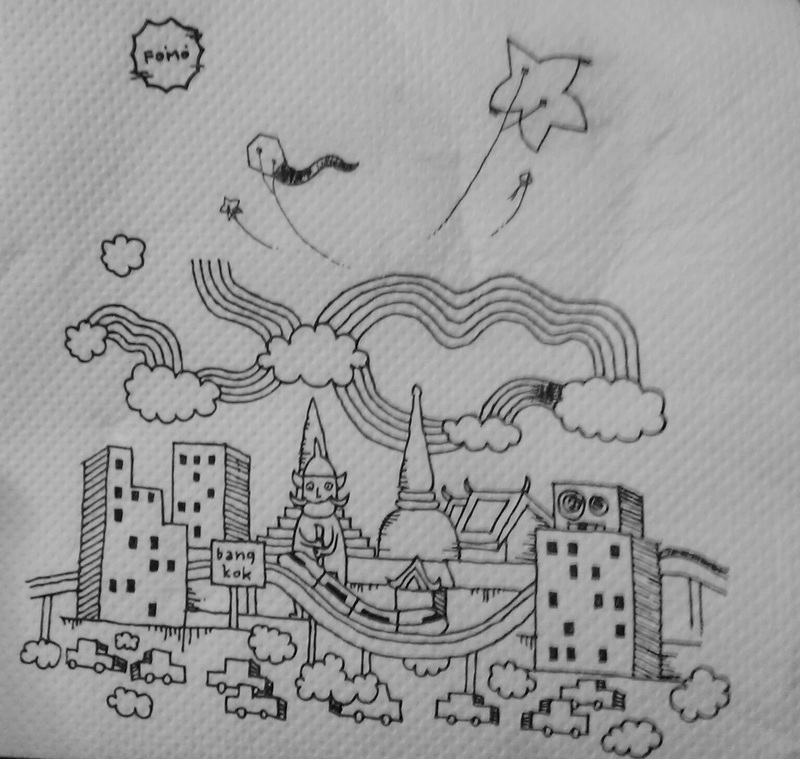 The serviette featured a cool design that continued the funky feel. The lunch menu was pretty extensive, with plenty of Thai standards and some less familiar options. 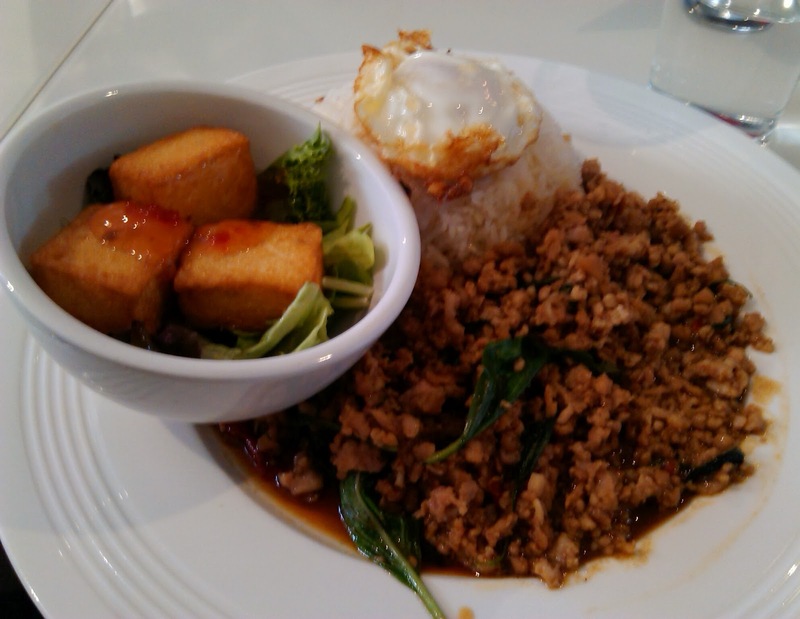 On the first occasion, I had the 'classic chilli basil' chicken Fomo lunch box, which for $12.50 contained minced chicken stir-fried with chilli and basil with rice topped with fried egg and small salad of fried tofu and leaves with sweet chilli sauce. The chicken was nicely spicy and all the flavours worked well together. Second time around the lunch menu had shrunk a fair bit. 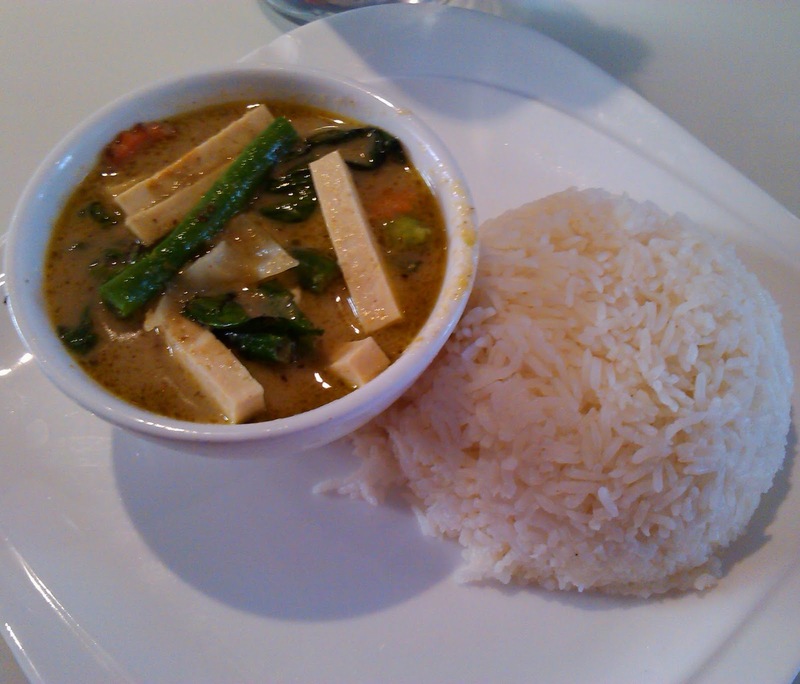 I went for the old favourite of a veggie green curry, which also contained tofu and was good without being great. At both lunches the dishes the group ordered started appearing what seemed like seconds after the final order was taken, maybe that is a result of a prompt 12:30 start for lunch and computerised wireless ordering! 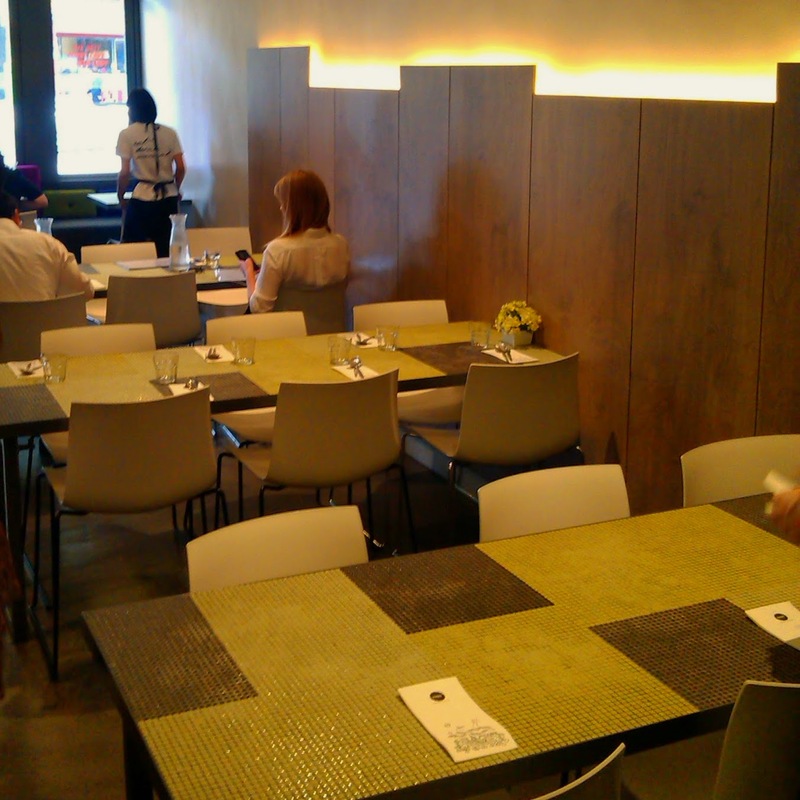 The speed didn't seem to effect the quality of the food and all the diners seemed happy. The second time around the meals did arrive over a fair period of time, which with a smaller group was more noticeable and slightly frustrating. 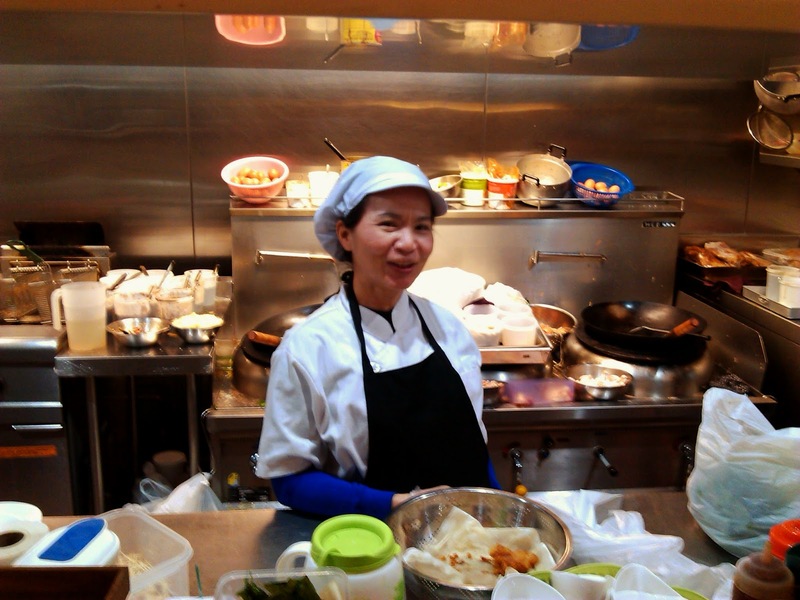 I've already returned once and would happily head back at some stage to try some of the other dishes.